The articles published in Pancreatic Disorders & Therapy have been cited 126 times by eminent researchers all around the world. Following is the list of articles that have cited the articles published in Pancreatic Disorders & Therapy. Mößeler A, Schmicke M, Höltershinken M, Beyerbach M, Kamphues J (2016) Oral Supplementation with a Special Additive of Retinyl Palmitate and Alpha Tocopherol Reduces Growth Retardation in Young Pancreatic Duct Ligated Pigs Used as a Model for Children Suffering from Exocrine Pancreatic Insufficiency. International Journal of Molecular Sciences 17: 1642. Mößeler A, Kamphues J (2017) BlackâBox Gastrointestinal Tract—Needs and Prospects of Gaining Insights of Fate of Fat, Protein, and Starch in Case of Exocrine Pancreatic Insufficiency by Using Fistulated Pigs. Nutrients 9: 150. Surani A, Poterlowicz K (2016) Circulating tumour DNA: a minimally invasive biomarker for tumour detection and stratification. British Journal of Pharmacy 1. Westphalen CB, Kruger S, Haas M, Heinemann V, Boeck S (2016) Safety of palliative chemotherapy in advanced pancreatic cancer. Expert opinion on drug safety 15: 947-954. Hussein NA, El Kholy ZA, Anwar MM, Ahmad MA, Ahmad SM (2017) Plasma miR-22-3p, miR-642b-3p and miR-885-5p as diagnostic biomarkers for pancreatic cancer. Journal of Cancer Research and Clinical Oncology 143: 83-93. Diab M, Muqbil I, Mohammad RM, Azmi AS, Philip PA (2016) The role of microRNAs in the diagnosis and treatment of pancreatic adenocarcinoma. Journal of Clinical Medicine 5: 59.
eine hohe Durchseuchung L (2016) Protozoen und Persönlichkeits-störungen, die Psychiatrie und der Ursprung der Menschheit. Nervenheilkunde 35: 341-350. Majidiani H, Dalvand S, Daryani A, de la Luz Galvan-Ramirez M, et al. (2016) Is chronic toxoplasmosis a risk factor for diabetes mellitus? A systematic review and meta-analysis of case–control studies. The Brazilian Journal of Infectious Diseases 20: 605-609. Nosaka K, Hunter M, Wang W (2016) The role of Toxoplasma gondii as a possible inflammatory agent in the pathogenesis of type 2 diabetes mellitus in humans. Family Medicine and Community Health 4: 44-62. Oz HS. Toxoplasma gondii (Toxoplasmosis). Costello LC, Franklin RB (2017) Decreased zinc in the development and progression of malignancy: an important common relationship and potential for prevention and treatment of carcinomas. Expert opinion on therapeutic targets 21: 51-66. Zhang Q, Chen S, Zeng L, Chen Y, Lian G, et al. 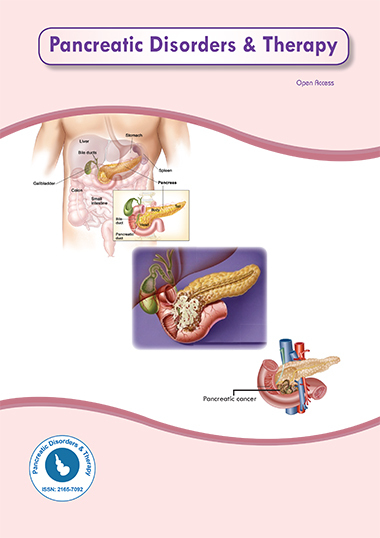 (2017) New developments in the early diagnosis of pancreatic cancer. Expert Review of Gastroenterology & Hepatology. Pan Z, Choi S, Ouadid-Ahidouch H, Yang JM, Beattie JH, et al. (2017) Zinc transporters and dysregulated channels in cancers. Frontiers in bioscience (Landmark edition) 22: 623. Subramani R, Lopez-Valdez R, Arumugam A, Nandy S, Boopalan T. Targeting Insulin-Like Growth Factor 1 Receptor Inhibits Pancreatic. Hoang BX, Han B, Shaw DG, Nimni M (2016) Zinc as a possible preventive and therapeutic agent in pancreatic, prostate, and breast cancer. European Journal of Cancer Prevention 25: 457-461. Nimmanon T, Taylor KM (2014) Zinc signaling and cancer. InZinc signals in cellular functions and disorders pp: 285-313 Springer Japan. Bird AJ (2015) Cellular sensing and transport of metal ions: implications in micronutrient homeostasis. The Journal of nutritional biochemistry 26: 1103-1115. Kang X, Chen R, Zhang J, Li G, Dai PG, et al. (2015) Expression profile analysis of zinc transporters (ZIP4, ZIP9, ZIP11, ZnT9) in gliomas and their correlation with IDH1 mutation status. Asian Pacific Journal of Cancer Prevention 16: 3355-3360. Franklin RB, Zou J, Costello LC (2014) The cytotoxic role of RREB1, ZIP3 zinc transporter, and zinc in human pancreatic adenocarcinoma. Cancer biology & therapy 15: 1431-1437. Subramani R, Lopez-Valdez R, Arumugam A, Nandy S, Boopalan T, et al. (214) Targeting insulin-like growth factor 1 receptor inhibits pancreatic cancer growth and metastasis. PLoS One 9: e97016.